These are the apps that I will install first on pretty much any new Mac that I get. I’m a huge fan of free and open source software, and no other platform has free software of the same quality and calibre as Mac OS X. Most of these are Mac-only apps (a couple are cross-platform). I’m listing free applications wherever possible, but if there is a paid-for app that I consider best-of-breed, I mention those too. Hopefully this list will help all of the techie switchers get the apps they need quickly. This list is a work-in-progress, so I’ll be adding to this it over time. If you’re only interested in my recommended security apps, they’re at the bottom! Feel free to post in the comments if you have any you think are worth mentioning. As you will know by now, Apple has release Lion (OSX 10.7) to the orgasmic jubilation of Mac fans everywhere. Ok, perhaps I exaggerate, but Lion was probably the most anticipated release of OSX since Leopard. Critics will argue that the number of major new features are limited, but in my opinion it’s the refinements that make Lion a great update. And for what it’s worth, the Mac App Store update process went perfectly smoothly on my iMac. Most importantly, however, are the security improvements that Apple have made to the OS. Leopard and Snow Leopard already had some of these features, but they were not fully developed. In Lion, it seems, many of those issues have been fixed. 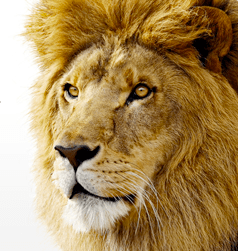 In fact Lion has been said by several security researchers to now offer superior security over competing operating systems. I’ve said for a while that Apple will wait until OSX is really stable before properly addressing security. It appears Lion is the start. FileVault 2: Whereas FileVault on Snow Leopard only encrypted users’ home folders (using disk images), leaving the System and Applications vulnerable to attack, Lion now has true block-level Full Disk Encryption (XTS-AES 128 algorithm). FileVault 2 also supports full disk encryption of external USB and FireWire drives. One key new feature is Lion’s “Instant Wipe”, which will allow you to wipe the hard-drive should your computer fall into the wrong hands. Similar to iOS devices, this may tie in to the new Find My Mac functionality. Privacy Controls: Apple has sprinkled around some additional privacy controls, giving the user more say in how their data is stored or used. There’s now full control of which applications can make use of the Location Services features of OSX. Apple ID Authentication: This is an interesting feature that makes it easier for users to share content with others. Normally actions like Screen Sharing and File Sharing require the connecting user to have an account on the system. Now, you can simply add their Apple ID as an authorised account to give them selective access. It will be interesting to test how this actually works in practice. Application Sandboxing: Lion’s sandboxing capability has been greatly improved. Safari, for example, has been updated to include sandboxing, meaning that website content loads in a separate process with limited functionality. This help prevent malicious websites from gaining access to the underlying system. Apple is encouraging third party software developers to start sandboxing their applications. Full ASLR: This is a big one. Address Space Layout Randomization is a technique to make exploitation of vulnerabilities more difficult by not using fixed memory addresses for key data areas. In Snow Leopard, ASLR was half-baked and essentially broken. In Lion, it appears that Apple have finally implemented full ASLR (covering 32 and 64-bit application), although how well is yet to be fully determined. Either way this will present an additional barrier to exploits. All in all, some significant improvements over Snow Leopard. The security push isn’t over yet, however, and I’m sure we’ll be seeing a bit more from Apple as OSX develops. This doesn’t mean vulnerabilities won’t be found in OSX, but it will make it that much harder for workable exploits to be developed. I anticipate we’ll start seeing a lot more vulndev attention being committed to OSX this year. The Fortuitous Day of Exalted Happiness – aka the release of Portal 2 – is fast approaching. Steam currently have the release pegged for the 21st of April. For those of you who have no idea what I’m talking about, or why I’m talking about games at all, Portal is a physics-based game where the player must use well-placed portals and other objects in order to escape from the level. In security terms (because that’s all some of you understand), you have to manipulate or bypass a variety of access control mechanisms through the clever use of basic objects and environmental features, in order to defeat physical security and get out. Failure to do so generally results in death by falling, drowning, squashing or other similarly unpleasant ends. Although the original Portal was excellent, Portal 2 takes this to the next level with significantly improved graphics, much larger environments, new interactive elements and co-operative multiplayer. Thanks to Steam it will run on both Mac OS X and Windows. I’ll stop talking now so you can watch the video below and then pre-order it… go on… I’ll wait here. The guys at GPGTools have taken control of the MacGPG2, GPGMail, GPG Keychain Access and GPG Services projects, and have released a single unified installer that installs all of these apps. They are maintaining these tools, which are all 64-bit and Snow Leopard compatible. The package also include Enigmail, a GPG-compatible plugin for Thunderbird (Mozilla’s free email client). GPG is an open source alternative to PGP’s suite of public key encryption software (PGP Desktop), which allows you to encrypt/decrypt files and emails and create/validate digital signatures. For more information, check out my tutorial on using GPGMail to send encrypted emails on Mac OS X. The Mac App Store was released in the recent 10.6.6 update, allowing Mac users to buy and install apps in the same, easy, one-click fashion as iPhone and iPod Touch users. Over 1 million apps were downloaded in the first 24 hours. Although the Mac App Store doesn’t make use of a sandbox like the iOS App Store does, there are still several mechanisms developers can use to prevent their software from being copied and shared between different users. Hackers have discovered that one of the simpler methods used to authenticate an app is actually stored as a separate plist file within the application bundle. This means that an app can be copied, and the authentication files within its bundle can be replaced with those from an app that was legally purchased (even if it’s a free app). In order to resolve this, developers should not rely solely on the data found within the plist file external to the binary, and perform some checks against hard-coded values within the binary itself. Some simple tips are available here. Ultimately all software is crackable, Mac App Store or not, so my suggestion to application developers is: spend more time developing great new features, and less time worrying about anti-piracy. This is what itself Apple does. In the long run most people will follow the simplicity route and buy the app. This post forms part of the series on Securing Leopard, and covers GPGMail, Mail.app plugin that allows you to digitally sign, encrypt and decrypt emails using PGP/GPG. When Snow Leopard came around, it completely broke support for GPGMail, and there were no other solutions that enabled similar functionality. This caused a significant issue for Snow Leopard users needing GPG functionality. The original developer of GPGMail unfortunately did not have the time to update the plugin and restore support for Snow Leopard. Since then the GPGMail project has been handed over to a new team of developers who have been working on restoring the full functionality of the plugin under 10.6. This tutorial shows you how to easily install GPGMail and start sending and receiving encrypted emails! [Updated 21/01/2011] The team at GPGTools have now created a unified installer which consolidates MacGPG2, GPG Keychain Access, GPGMail and GPG Service. Their all-in-one installer simplifies the install process, and installs everything you need for encrypting/signing files and emails. If you’ve used the GPGTools package, please post your experiences in the comments! Sophos have released a free home edition of their anti-virus for Mac OS X users. This brings automatic on-access detection, and disinfection capabilities that cover Windows viruses/worms/trojans, as well as the few pieces of malware that currently exist for Mac OS X. Sophos claim that their antivirus does not use many resources, and thus does not slow the machine down like some A/Vs do. Although malware is more common on Windows than it is on Macs, there is a growing concern that, as Mac OS X market-share continues to grow, the operating system will become a more attractive target for cybercriminals. I haven’t tested this yet, and Sophos aren’t the first to arrive on the Mac AV scene. ClamXav is a good free open source alternative, however one benefit of Sophos’ solution is the experience of their research team, and vast database of malware (don’t expect this to remain free forever). Although I personally wouldn’t pay for Mac AV just yet, there are also some good solutions from Kaspersky and Intego’s VirusBarrier.